We've extolled the merits of textured blazers before, but to remind you, here's the gist: these are the best of all the blazers, because they don't look like half a suit. "We've all seen guys wearing suit jackets with jeans, which is never a good look," says Thread associate stylist Alexander McCalla. "That visual is one of the things that makes blazers more intimidating than they should be." 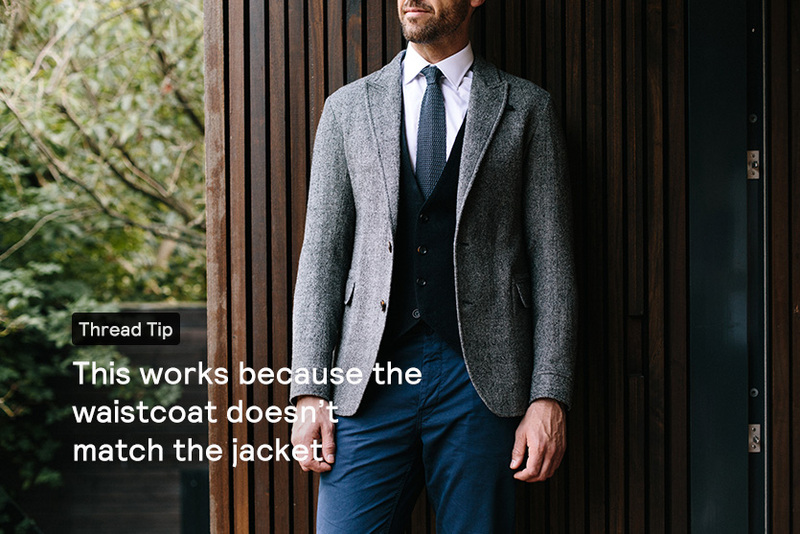 If you go for a textured blazer, however, it'll work as well over a t-shirt as it will with a formal shirt and tie. And in styling this, we went for grey because it goes with every other colour, including dark grey. Navy blazers, on the other hand, can look a bit odd with blue trousers, including indigo jeans. 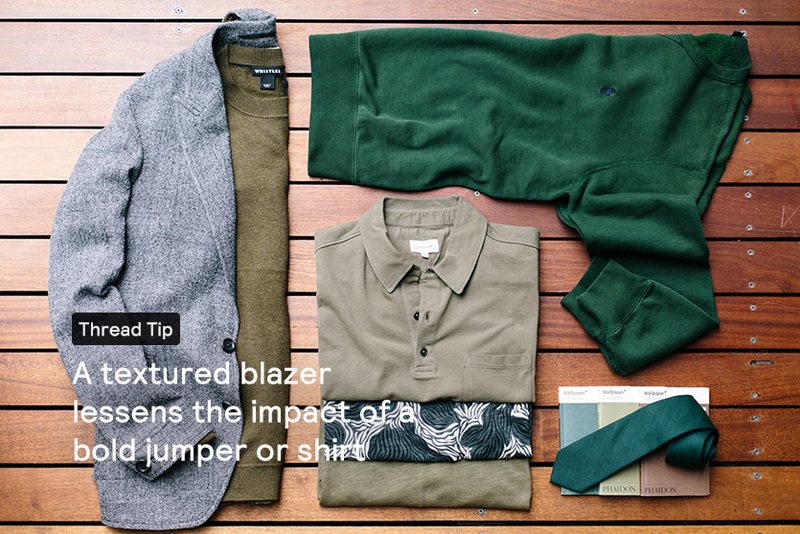 Below, Alexander explains when (and why) a range of textured-blazer-centric outfits work well. Why this works: "Before you even think it, we're not advocating wearing all of the green clothes here at once! The point is that grey goes with every other colour, and textured blazers are particularly easy to match with coloured jumpers or t-shirts. Here's why: whereas suit jackets are flat and solid-coloured, which makes them contrast starkly with coloured clothes, textured blazers' mottled colour and dimensionality keep the contrast from jarring." 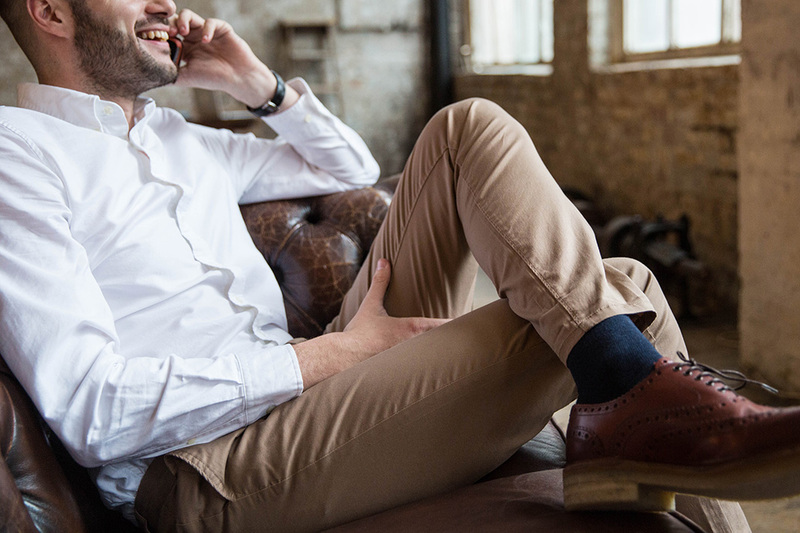 Why this works: "Whether you're going to a wedding, a job interview or just the office, this combination is a nice break from your usual suit. It takes more thought than just throwing on your suit, and that shows. 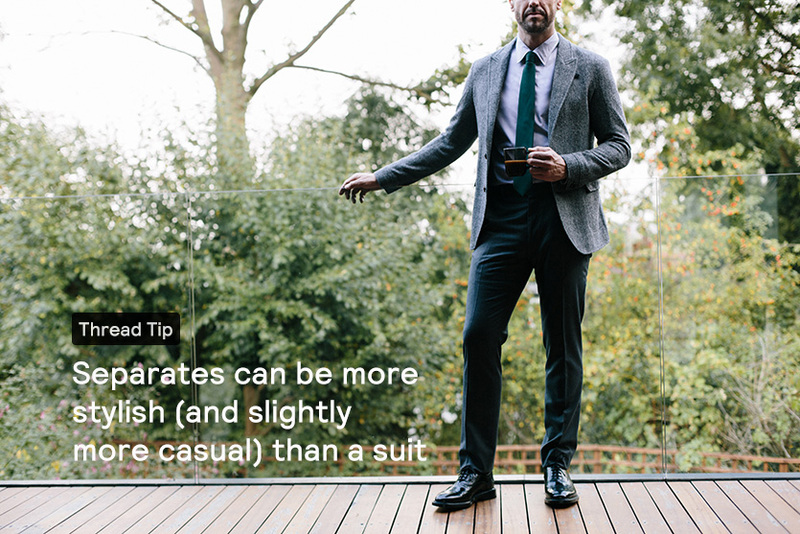 It also ticks all the boxes your suit does—jacket, smart trousers, formal shirt, tie and lace-up shoes—but it's a notch more relaxed because each piece is more casual, even the nonshiny tie. Going for black shoes over brown makes this much sharper." Why this works: "As a rule, textured fabrics are more relaxed than shiny materials. 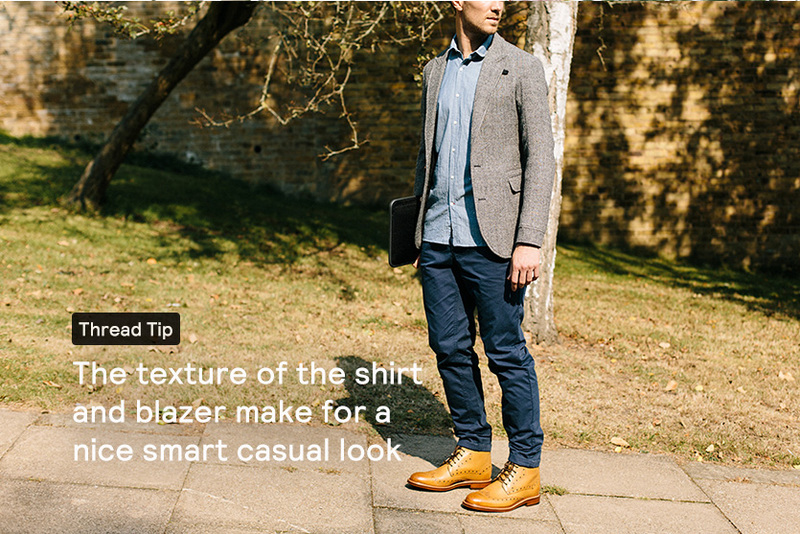 So if you're going for a style between smart and casual, the textured blazer is always your best bet. This outfit would look good at a relaxed meeting, a nicer party (such as a christening or engagement party) or a dinner date. 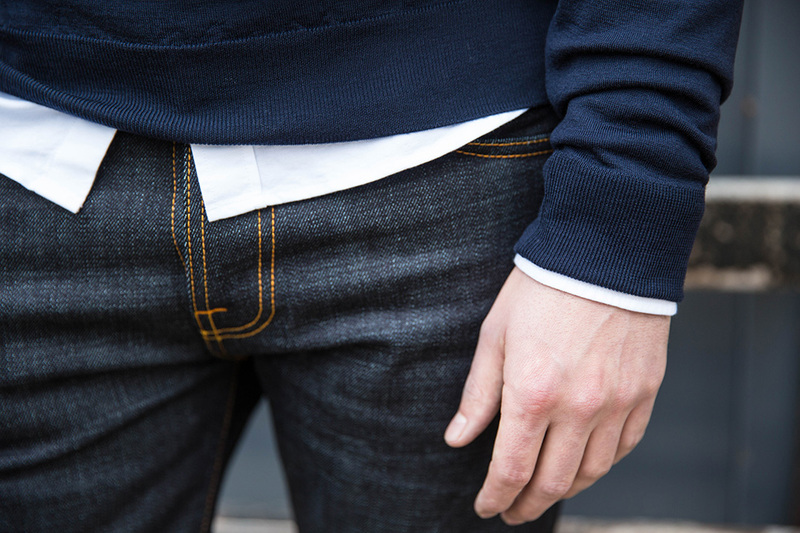 And it would also work well if you swapped the chinos for jeans." Why this works: "Add a waistcoat! It has the potential to make your smart-casual clothes sharper and more stylish. 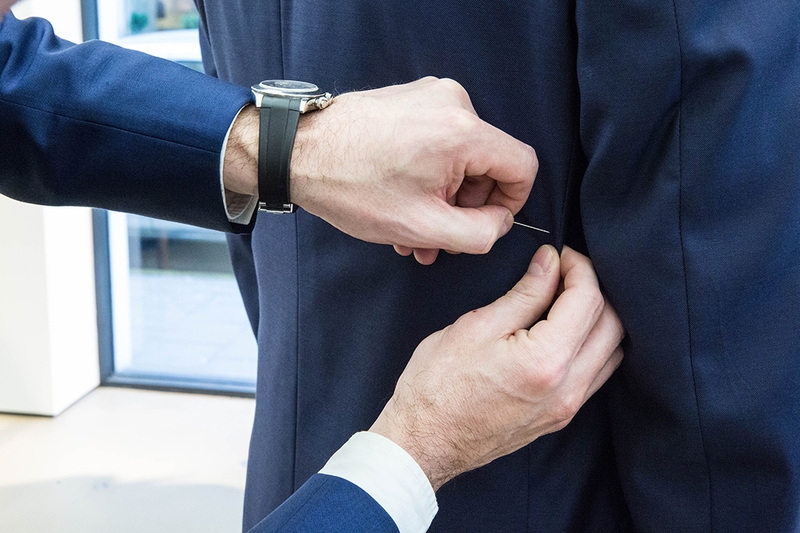 Just make sure your waistcoat's textured, too (unfortunately you can't just use your suit's waistcoat) and in a different colour from your blazer." Why this works: "A blazer like this one is the best kind to have hanging in your office in case a client meeting or a nicer dinner date pops up. 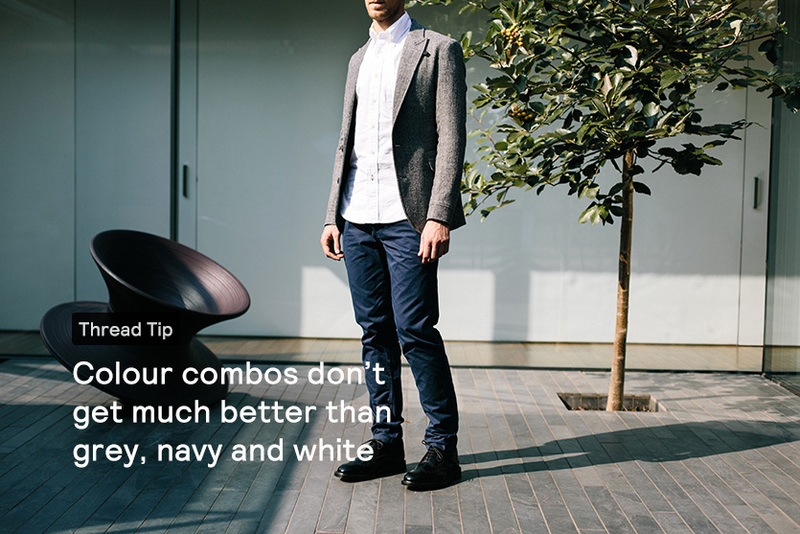 Even if you're dressed quite casually—in jeans or chinos and a chambray shirt—you can smarten up just by throwing the blazer on top. Make sure you're wearing leather shoes, anything from boots like the ones here to sleek, minimal trainers."